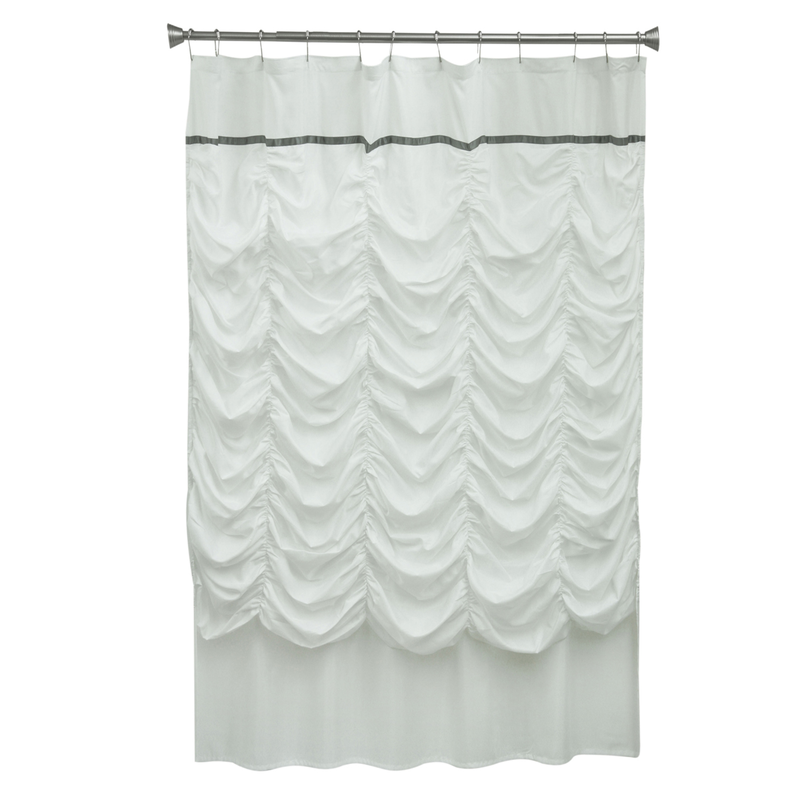 Make a statement in your bathroom with the Ruched White Shower Curtain. This beach shower curtain is adorned with elegant ruching accented by a narrow, silver top band for a true seaside feel. Ships from the manufacturer. Allow 1 week. Cannot express ship. For many more offerings, we encourage you to take the opportunity to go through our full variety of beach shower curtains at Bella Coastal Decor now.